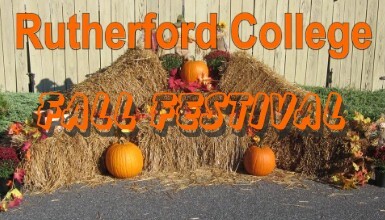 Our Fall Festival will be held on Saturday, September 29th from 9am-2pm at the Town Hall. You can look forward to more vendors than ever this year! There will also be a petting zoo, inflatables, door prizes, food trucks and more! We have already started collecting vendor applications and will continue to do so until the spaces are full. If you would like to be a vendor at this year’s festival, please stop by Town Hall or visit the Town website to print out an application and rules and regulations. The fee is $20 per booth and there is an additional $5 charge if you need electricity hook up (*please call ahead if you need electricity because the spaces are limited*). We are also accepting donations for door prizes anytime from now until the day of the festival. If you would like to donate, please contact the Town Hall. Updates will be posted on the Town Facebook page and the Town website as we get closer to the event! Please note, parking will not be available at Town Hall during the festival, spaces are available at Abernethy Church, Municipal Park and on Campus Street. Looking forward to another great event for the Town!